Create this page for Belize social issues. The Ministry of Police and Public Safety hereby advises the general public that in the interest of National Security under the Telecommunications Act edition 2002 section 44 (5) , Belize Telemedia Limited and Speednet telephone companies will begin the mandatory registration of all existing pre-paid cellular numbers effective Tuesday October 11th 2011. The public is further advised that at the end of the 6 month registration period, all unregistered phones will automatically be disconnected by the respective telephone company. New cellular phones purchased after October 2011 will have to register at the point of sale. The measure is part of the Government of Belize's anti-crime efforts and is expected to, among other things, allow for the recovery of cellular numbers, eliminate cellular phone theft, and assist law enforcement in detecting, investigating, and prosecuting crimes that involve the use of cellular phones. Please contact your telephone company for further information on how to register your cellular phone. Here is a youtube taken in NY when Andy Palacio was alive. 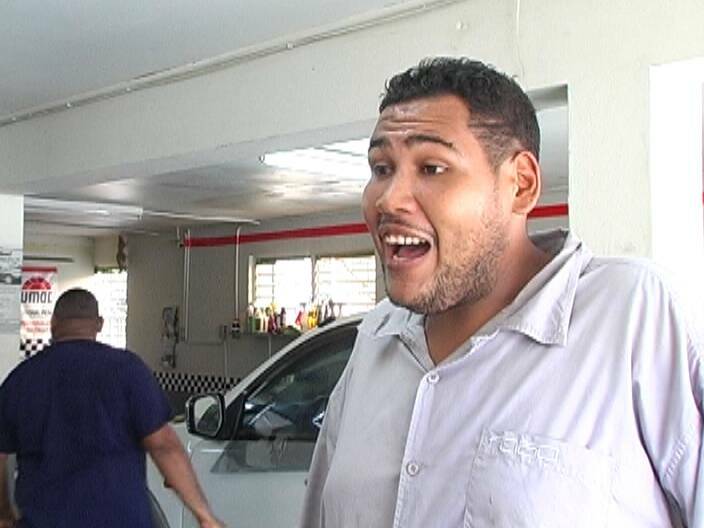 Prominent musician and father of two, Giovanni Chi, 33, a resident of Caesar Ridge Road, Belize City, was gunned down at around 10:30 p.m. Thursday, while he rode his bicycle on Jane Usher Boulevard. Chi, a singer, guitarist, and drummer, was the elder brother of the late Andre Trapp, who was reputed to be the leader of Southside Gang. 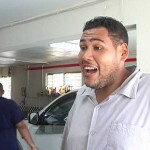 Trapp was executed, also on a Thursday, in a broad daylight murder in June 2010, in the parking lot beside the Supreme Court, in downtown Belize City. Chi’s relatives, speaking reluctantly with Amandala, said that the entire family has been receiving death threats, and they suspect that’s why Chi was targeted. They said Chi had just left home to go to the Jane Usher Boulevard area, probably heading to see his girlfriend and child who live in that area, when he was attacked. Police say that when Chi arrived at the corner of Jane Usher Blvd. and Louise Bevans Street, a gunman fired a single shot. The bullet hit him in the left side of the head, near the temple area, and it exited on the right side. He died on the spot. No one has been able to tell our newspaper what mode of transportation was used by the gunman, and police have so far not reported any arrests. Chi’s family is today grieving and angry, because Chi was a musician for almost two decades and did not have any part to play in the gang violence which took Andre Trapp’s life. His sister, who wished to remain anonymous, told us that Chi had recorded many albums over the years, and had been linked with many prominent bands in Belize City—most recently The Laru Beya Boys. A few weeks ago, the National Institute for Culture and History (NICH) contracted the group to carry out regular performances as part of a program called Belizean Beats. This program introduces Belizean music to tourists coming into the country via the Philip Goldson International Airport (PGIA). Chi was billed to perform at the PGIA today, Friday. His family told us that he was a family-oriented man, and he did not like seeing any family member go down the wrong path. We were told that Giovanni Chi and Andre had had many disagreements over Andre’s gang connection. Chi has left behind two daughters: a 4-year-old, and a 1-year-old. The family told us that they are angry that this gunman has left the two children fatherless, especially since Chi loathed the thought of gang activity being near his home. Hawthorne Race Course 3501 S. Laramie Ave. Gift Card, Gift Baskets, Product of Belize. My name is Theola Brookins and I am an active member of the Belizean Community here in Los Angeles. With that said, I am starting a drive to collect flashlights and batteries for the emergency response organization in Belize.As you all know, the hurricane season begins in June. According to the weather information this year should be an active season. I was in Belize last September, 2010 when a tropical storm developed, and I can tell you that the emergency response team was on top of their game as far as information going out to the public was concerned. But we also had the lights going out, and if you did not have a flashlight you were in trouble. Lit candles are unsafe and unreliable during a storm. In doing my part, I have taken on this small project to collect flashlights and batteries to be distributed to as many people as possible. I am asking that each person find it in his/her heart to donate two durable flashlights and batteries to the cause, and also ask friends and family to contribute also, I would be grateful for your help. If you do not wish to purchase the flashlights, then a donation would be appreciated. I would like to have Friday 24 and Saturday 25, 2011 to be the drop off date and have the items shipped by June 30, 2011. Please make checks payable to the Consulate of Belize. Please write on memo line, for flashlights. You may also drop off at 3940 Roxton Ave, L.A.90008 on or before June 25th, 2011. 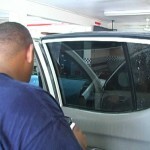 Drivers across the country have a little over two weeks to remove dark tints from their vehicles. A statutory instrument will come into effect to regulate tinting, a measure taken to deter criminals from hiding behind the tint to conceal their identity. In the following story, News Five’s Isani Cayetano looks at the acceptable level of tints prescribed by the new regulations. 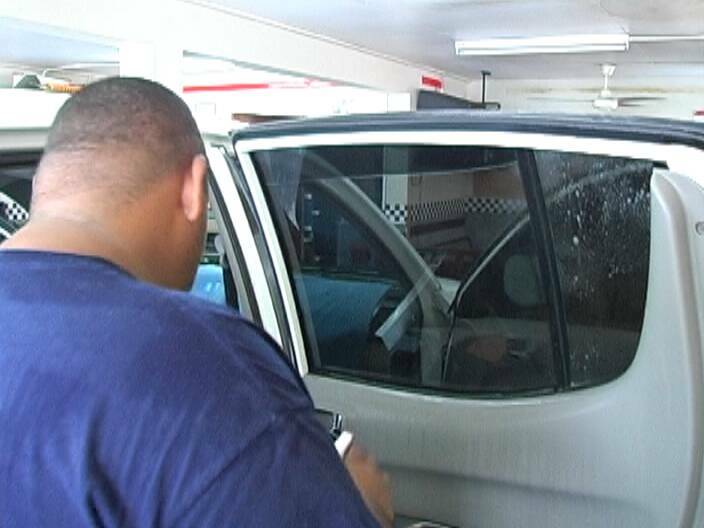 On June first the Traffic Department will begin cracking down on vehicle owners whose windows and windshields do not meet the newly implemented standard of tinting. In the streets of Belize City two out of every five cars we counted have exceptionally dark tints, well outside of the accepted parameters. Nigel Espat, proprietor of Auto Zone, explains the shades of film used in tinting. A statutory instrument was recently passed to regulate tinting in light of the present crime situation plaguing the country. 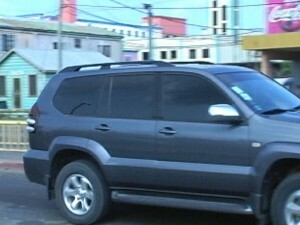 But while the public is expected to remove dark tints from their vehicles government officials are still driving around with relatively obscure windows. 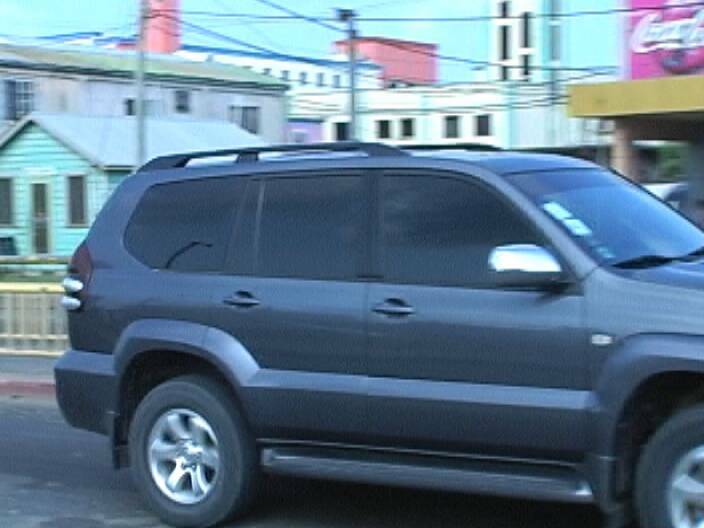 Prime Minister Barrow recently commented on the enforcement of the new law. According to Errol Garbutt Jr., who operates Glass Technologies Ltd., despite the new regulations government should consider that the measure may not have a significant impact on the commission of crimes the way it has on his business. Espat also highlighted the fact that prior to the passage of the new legislature there was no enforcement or regulation of tinting. Motorists have since complained that de-tinting their vehicles comes at an extra expense to them especially knowing that prior to their installations it wasn’t illegal to have your windows tinted. The new law comes into effect at the end of the month. Reporting for News Five, I am Isani Cayetano. Drivers who do not comply with the new tinting law can expect to be fined. 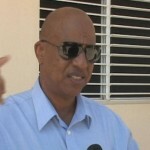 in Belize, will be visiting the State of California, February 23 – 27, 2011. California to establish a mentorship program for high school students in Belize. clinics in Belize during the summer months. dialogue with Belize’s Minister of Education and Youths. Yesterday evening Belize lost one of its most outstanding women, well-known seventy -seven year old Carrie Fairweather Belgrave.Fairweather-Belgrave had been battling pancreatic cancer since the latter part of last year; she lost her fight with the disease at the KHMH yesterday evening around 6 due to respiratory complications. Most of us came to know and love her on the screen as “Granny Tomasa” in the series “Noh Matta Wat”. Our thanks to 13 productions for that video. More on the wit, wisdom and good grace of Ms. Carrie can be seen in the recently produced documentary “A Remarkable Woman,” which is also available through 13 Productions. Fairweather-Belgrave is survived by her husband, seven children and a host of grand and great-grandchildren. According to her husband, the funeral is tentatively set for next Saturday January 22nd, but that has not been finalized. Join us in completing the mission of bringing hope and joy to less fortunate children who are not expecting any gifts this Christmas from Santa. There are always angels looking out for these kids. Join this cause and share with your friends. Belize Association of California strives to give hope and bring the Christmas spirit to the wonderful Children in Belize. This effort will help with donations leaving from Los Angeles. Your donations would be highly appreciated. You can donate toys, stuffed animals and clothing that will be given to kids in Belize. If you have any questions you may contact us at info@belizelive.net. I know I probably do not keep in touch as often as I should, but this is one time I desperately need your help. Many of the poorest people in Belize City who can least afford it had their lives totally disrupted by Hurricane Richard. Today, almost a week after Hurricane Richard passed over Belize, there are still many destitute people with nowhere to live, nothing to eat, nowhere to sleep, nothing to wear, nothing to drink ... NOTHING, PERIOD! The worst victims of the hurricane are the children. Yes, children today are sleeping outside in makeshift tents placed on ground cover of mud. In a KREM TV special they filmed after the storm, they recorded the pleas for assistance of some of the hardest hit victims. Friends, this situation could at any time happen to any of us our loved ones. It is truly horrifying to those affected by the storm, but more so to the many innocent children who have to suffer. Attached below is the video filmed by KREM TV entitled "What do you need right now?" Please take a moment to look at it. Unfortunately, the official disaster response has been less than stellar. To pick up the slack where the government has failed, a private initiative spearheaded by Indira Craig, television newscaster from Channel 7 news, has set up camp in the area and is serving hot meals to the affected residents. Most of these people have NOTHING, not a stove to cook on or a small space to store supplies or groceries. They are in desperate need of assistance. For most of them, their entire survival depends on the availability of the meal that Indira and her wonderful group of volunteers are serving them. I will stress again that this is a private initiative, hence no government funding. It is all coming together as a result of private donations. There is no telling how long it will be before the situation of these victims improves, and the situation is truly heartbreaking and sad. To that end, I have set up a connection with Glenn Tilllett, a trusted talk show host at Positive Vibes radio. Indira and her crew are always on site serving meals, and she has no time to be running sundry errands. To that end, Glenn Tillett has agreed to pick up donations on behalf of Indira's group. Friends, let us give generously to this endeavor. I will state again, at any time, this could be our situation. How would YOU like to be treated? Please donate generously to the relief cause. I have made a quick check with Western Union (the fastest way we can deduce to make our donations count RIGHT AWAY) and they charge $15 to WU up to $100, $22 to WU up to $200, and $39 to WU up to $400. So, if several of you each have $20 that you would like to donate, for example, pool the sum of money together into one wire transfer and pay only ONE $15 fee for the entire lot (versus $15 for each $20 transfer). In any case, Glenn Tillett has generously volunteered his time to pick up any donations from WU and to transport them over to Indira Craig and her group. In order for him to be able to do this, you would have to WU the money in his name (GLENN TILLETT, 1607 MANTA RAY DRIVE, LADYVILLE, BELIZE DISTRICT, BELIZE, CENTRAL AMERICA). Again, this is just the FASTEST way to get donation money to the cause. Glenn will pick up the money, hand it to Indira, and Indira will later confirm the donation once she is able. This is for transparency. Glenn's email is glenntillett@yahoo.com. His phone number is 605-6618. Please text him your name (senders name) and the MTCN number once you send a donation so he knows what to expect, OR you can send him an email with the information. Friends, no matter how small big or small the amount, please send something. These are our Belizean brothers and sisters that are suffering. PLEASE ALSO FORWARD THIS TO ALL YOUR FRIENDS. MORE THAN EVER, BELIZE NEEDS YOU NOW! Raquel Battle wanted to create a comfortable place where terminally ill cancer patients could die with dignity. She has been living in the US for more than 15 years and is currently pursuing a PhD in Health Services: Health Management and Policy. Raquel is president and founder of the Blissfulsage Foundation. For the past four years Blissfulsage has been planning and working to open the first official hospice and home care program in the country of Belize. The National Edlin Leslie Sr. Hospice and Home Care will be based in Dangriga, Belize. This Hospice program was inspired by Mr. Edlin Leslie, Sr. of Placencia Village, Raquel’s father, who lost his battle with prostate cancer three and a half years ago. The residents of Placencia Village, in Southern Belize, who have participated in and sponsored the annual “Battle Cancer” awareness run/walk in memory of Mr. Edlin Leslie, Sr. for the past four years, can be proud of their contributions in support of this National hospice program. The general mission of this hospice program is to support those who have been diagnosed with cancer, are terminally ill and have been determined by a physician to be within their last six to eight months of life. Although we know that people will eventually die in our care, Edlin Leslie Sr. Hospice and Home Care will not be a house of sadness, but a house of bliss. Our goal is to assist the patients in managing pain, and other symptoms, so that they can enjoy the last few moments of their lives with their loved ones. We have been blessed with a space at #6 Bluefield Rd, Dangriga. In exchanged for the renovations the owners have given us full access to use of this facility for a significant period of time. Your support and donation will make it possible to open our program in June 2011. Presently, we find ourselves at a tipping point. We, the Blissfulsage Foundation, need your support in making the The National Edlin Leslie Sr. Hospice and Home Care program in Belize possible in 2011. Raquel Battle will be running the 26.2 miles Long Beach International Marathon on Sunday October 17th benefitting the Edlin Leslie Sr. Hospice and Home Care. She hopes to raise US$50,000.00 by June 1, 2011 and to reach the projected opening date of June 15th. Your thoughts, prayers, support, and donations are greatly appreciated and will help to make her dream a reality!!! If you would like to contribute or learn more, please contact the Belize Cancer Center, Dangriga, Mrs. Sonia Leslie, Placencia, at http://www.blissfulsage.org/ or on the "Battle Cancer" facebook cause page. You may locate this cause through Raquel Battle's facebook page. 1. Vaseline2. Balmex3. A&D ointment4. Gold bond powder or any powder with zinc oxide5. Latex gloves6. Medical tape7. White cotton twin sheets. We would like to invite Belizean Charities to participate in this program by holding fund raisers to make this dream come through. Thank you for doing what you can to support Hospice Care in Belize. Blissfulsage is a 501 (c) 3 nonprofit organization based in the United States. Most recently Blissfulsage received its nonprofit status in Belize as well. SUBJECT: Are there any jobs? The ability of a nation to establish a sound economic growth plan is extremely necessary for any country’s survival. Human resource is the backbone of all global economies whether capitalist, socialist or communist since without it, the country is virtually paralyzed. The fact is that without sufficient jobs, the economy will not move. Under ordinary circumstances this is especially testing and even more so in current times when we are experiencing a massive global recession and particularly since Belize has cultivated an economic policy which is terribly dependent on the outside World economy. However, within our own tiny sphere we need to develop innovative ways of creating employment and generating revenue to ease some of the burdens of this recession. Belize has an enormous professional pool and we need to utilize them. We need to put party politics aside and build this nation together. While I realize that the government and private businesses at this point may not have the mass capacity for employment, we need to support local initiatives and projects that will benefit this country. As what one prominent politician who I have a tremendous amount of respect for (and they are not too many like that) once told me; government should support any initiative that does not; one, burden the tax payer, is for the wellbeing of the nation and is not corrupt and intended to enrich any politician. However, many times legitimate project get bogged down in bureaucracy, petty issues and politics. Ultimately they get side track and end up gathering dust in some filing cabinet. As part of government economic plan, they should put immediate priority on any projects that fit these three criteria. The global economic recession has hit Belize hard for two primary reasons; one, we were not prepared for it and two we seem not to be able to figure a way out of it. This is no fault of the government but also government has to do everything within its power to ease this blow and honestly I do not see it. This has nothing to do with politics but there seems to be no clear economic plan and we just seem to be haphazardly moving on...if this is otherwise then can someone please show the public the economic direction. The vast majority of people had high hope on this administration as demonstrated by their massive landslide victory. I think that they stood a good chance of getting a second term but the economy and crime might be their Achilles heel. While I must admit it is not a substance of their own doing, but in the World of governing and ruling, has fallen squarely on their laps. They can still change this and am hopeful and pray that they will. While the sour taste of the last administration is still fresh in the minds of a lot of Belizean, the currently administration seem powerless, unwilling or lack the political will to tackle the big issues. I can think of at least 5 highly trained professionals including myself, with managerial experience from some of the largest organization and companies in this country who have been unemployed in cases from one to two years. Not only are they unemployed, but the opportunity to create employment is slow and stifled. This is what causes the professionals to leave a country…when hope is remote and distance. Now imagine what the ordinary man on the street is facing if the professional cannot kind work. I implore the government that whoever is the architect of our current economic plan to review and take a second look at it and hear the deafening cry of this nation and think crime and economics…it could be your salvation. It’s all about the people!!! ALL TESTS MUST BE DONE IN BELIZE, PHOTOCOPIES OF ALL ORIGINAL DOCUMENTS NEED TO BE SUMBITTED ALONG WITH ORIGINALS. A final decision will be made when all requirements have been met. Pending a decision on your application you are required to continue applying for monthly extentions on your documents at the nearest Immigration office. Click here for more details on Belize Immigration. Applications for the 2012 Diversity Visa Lottery Program are being accepted from October 5th to November 3rd, 2010 by the U.S. Department of State. Entries for the DV-2011 Diversity Visa lottery must be submitted electronically. Applicants may access the electronic Diversity Visa entry form (E-DV) at www.dvlottery.state.gov during the registration period. Paper entries will not be accepted. Applicants are strongly encouraged not to wait until the last week of the registration period to enter. Heavy demand may result in website delays. No entries will be accepted after noon, EST, on November 3rd, 2010. The annual Diversity Visa program makes visas available to persons meeting the simple, but strict, eligibility requirements. A computer-generated, random lottery drawing chooses selectees for Diversity Visas. The visas are distributed among six geographic regions, with a greater number of visas going to regions with lower rates of immigration, and with no visas going to nationals of countries sending more than 50,000 immigrants to the U.S. over the past five years. For the first time, those who submit entries may check the status of entries online and determine whether their entries are selected or not selected. Successful entrants will continue to receive notification letters by mail. For detailed information about entry requirements, please see the instructions for the DV-2010 Diversity Visa lottery on the Department’s Consular Affairs Website at htt://travel.state.gov/visa/immigrants/types/types 318.html. This office assisted two persons that were successfully chosen for the 2010 diversity program. We will be accepting appointment on the following days to assist those who are interested in applying. This service is free of charge. Please note that once an application is completed, we have no means of knowing the results. Please check the above website for results. Saturday, October 16th, 2010: 10:00 a.m. to 2:00 p.m.
Tuesday, October 19th, 2010: 3:00 p.m. to 8:00 p.m.
Thursday, October 21st, 2010: 3:00 p.m. to 8:00 p.m.
Saturday, October 23rd, 2010: 10:00 p.m. to 2:00 p.m.
Tuesday, October 26th, 2010: 3:00 p.m. to 8:00 p.m.
4801 Wilshire Blvd, Ste #250, Los Angeles, CA 90010. The Diversity Visa green card lottery online registration period will run from Oct. 5 until Nov. 3. More information about the DV-2012 lottery program is available at the State Department website, www.dvlottery.state.gov. Q Which countries' natives qualify for DV lottery green cards? A The natives of all countries can get DV-2011 lottery except Brazil, Canada, China (mainland-born), Colombia, Dominican Republic, Ecuador, El Salvador, Guatemala, Haiti, India, Jamaica, Mexico, Pakistan, Peru, Philippines, Poland, South Korea, United Kingdom (except Northern Ireland) and its dependent territories and Vietnam. Persons born in Hong Kong SAR, Macau SAR and Taiwan are eligible. Q Besides being from a qualifying country, what are the other requirements for a lottery green card? A You must have a high school level education from here or abroad. Or, you must have worked two of the last five years in a job for which at least two years' training or experience is a normal requirement. High school equivalency diplomas do not meet this requirement. Q How does the green card lottery work? If my name is selected this year, when will I get my immigrant visa? A Each year, the law makes 50,000 visas available to immigrants from country's with low immigration rates. That's why they call it the Diversity Visa lottery. Lottery winners get a green card. They must get the visa during the fiscal year that begins on Oct. 1 and ends the following Sept. 30 following the year they enter. To adequately process lottery winners, the State Department begins the lottery long ahead of when winners can first get legal residence. The entries the department will accept this October are for individuals who will get permanent residence in the 2012 fiscal year. That year will run from Oct. 1, 2011, to Sept. 30, 2012. The department will notify winners of the DV-2012 lottery in spring 2011. Q If I'm here illegally, can I get a lottery green card? A Maybe. If you qualify to interview here based on a previously filed immigration case and get your lottery green card. If however, you must travel abroad for your permanent residence interview and you have been here unlawfully more than 180 days, you may face a three- or 10-year bar to returning. The law provides for a waiver, but only for the child or spouse of a U.S. citizen or permanent resident. Even if you qualify for the waiver, you may not have the time to get one. Since, the government must issue all lottery green cards in the fiscal year for which they are allotted, it's likely that you would not have enough time to process your waiver application before your entry year ends. Q I think I qualify for a lottery green card, but I'm not sure. Should I enter? A Yes. You can worry about your qualifications if you're a lucky winner. Q Should my spouse and I each file separate applications? A All family members who qualify should submit separate lottery applications. Q Should I submit more than one entry? A The State Department claims that it catches people who submit multiple entries and disqualifies them. Q What's the charge for entering the lottery? A Entering the lottery is free. If you win, you'll pay processing fees to become a permanent resident. The Mayas of Southern Belize havecustomary land tenure rights in 33 villages - that's the upshot of a 62 page decision delivered by Chief Justice Abdulai Contehthis morning. It will be amongst the last judgments issued by the Chief Justice as he retires and his findings were decisively against the government. For the Mayan Leaders Alliance, which has been formally in the struggle for communal rights since the ten point agreement of 1997, today's judgment is another rousing re-affirmation of their rights to communal lands. But then again, the courts did much the same for them in 2007, and it hardly made a difference on the ground. And that's why the Mayas went back to court in June of 2009 to get a blanket declaration for all 33 Mayan villages in the Toledo district. The decision was handed down today one year later and the Mayas won every relief they sought except damages. Special correspondent Janelle Chanona found out what it means and what will happen next. "There's a great deal of anticipation for this judgment and I of course as the lead local counsel am a little nervous. I'm also very excited to have this judgment come on this day and we'll see where we go from here." In was in that atmosphere and to a packed courtroom that Chief Justice Dr. Abdulai Contehhanded down his decision in claim number 366 of 2008, which he referred to as a sequel to the Maya Land Rights case. Viewers should recall that in October 2007, the CJ found that the villagers of Santa Cruz and Conejo were entitled to customary land tenure rights. After the Government failed to implement that ruling, the Maya Leaders Alliance and the Toledo Alcades Association and others moved a new case to have the CJ declare that all Mayan villages in the Toledo District were entitled to such rights and subsequently the protection of the Constitution. "During the delivery of his two hour long decision, the CJ found and held that Maya Customary land tenure right does exist in all thirty-three villages in the Toledo district. That there are historical, ancestral, social and cultural continuity between the claimants and the indigenous inhabitants that entitle them to lay claim to customary land tenure rights in what is today the Toledo district. On the issue of extinguishment, the CJ found that the claimants rights to customary land tenure were not extinguished by formal distribution of leases and titles by colonial settlers or any such law or act. And finally, the Chief Justice held that undoubtedly the claimants possess rights and interest to lands in the Toledo district and those rights constitute property which entitle them under protection of the constitution to seek redress in the courts for any breach." The CJ would go on to reaffirm his October 2007 ruling and declare that the Government is obligated to adopt and protect the Constitutional rights of the claimants regarding customary land tenure. In order to achieve that protection, the CJ ordered the Government, in consultation with the Mayans, to devise legislative and administrative measures to create a mechanism to protect land tenure practices. Finally the Chief Justice ordered that until such a mechanism is created, the Government should cease and abstain from any action that goes against land tenure practices specifically, not to issue any leases to lands or resources, registering any interest in land and that any concessions for logging, mining or petroleum exploration be done in consultation with the Mayan communities. The CJ said he made sure his decision was sweeping for the purpose of securing enforcement in these proceedings. "All I can say at this point is that, the exercise of justice is joy for the righteous." "Words can't describe my emotions. Fifteen years of work, it's an overwhelming joy to know that the justice system in this country finally begins to render the justice that those seek and I can only be extremely happy that a group like the Maya community have mustered the courage to seek justice, to seek a space, to seek a voice, in their future and the future of this country." "I think it will go on appeal, it's huge. It's going to cause such a problem. I don't see how it can't go on appeal. It deserves to go on appeal. Not to be spiteful one party on the other but something of this size, has to be tested in an Appellate court." "I don't the possibility of an appeal or the eventuality of an appeal actually tempers our victory. It is a victory of justice as I believe Ms. Coc just said, it's a victory for the rights of all Belizeans and the fact of an appeal does not temper that whatsoever. We are extremely happy, extremely pleased and we look forward to a higher court confirming these same rights." From the outset, the Government's attorneys have rejected the Mayans position, insisting that the villagers are not entitled to any relief because they do not have customary land tenure rights. "I think that he may not have dealt with Dr. Jaime Awe's evidence in the amount of detail that he should have or given it the weight that it should have been given. I have to read the judgment and see." "What we are saying is that they have not proven that they are not direct descendants of the Manche Chol. Remember, they are to prove the case. It is not for us to prove that they are not you know. They are to prove that they are the indigenous people and from the very start, we have said that they are not the direct descendants of the Manche Chol." "The Honourable Prime Minister has had second thoughts on a number of important issues for this country. I'm hoping that this is one of those important issues that he will have a second thought. 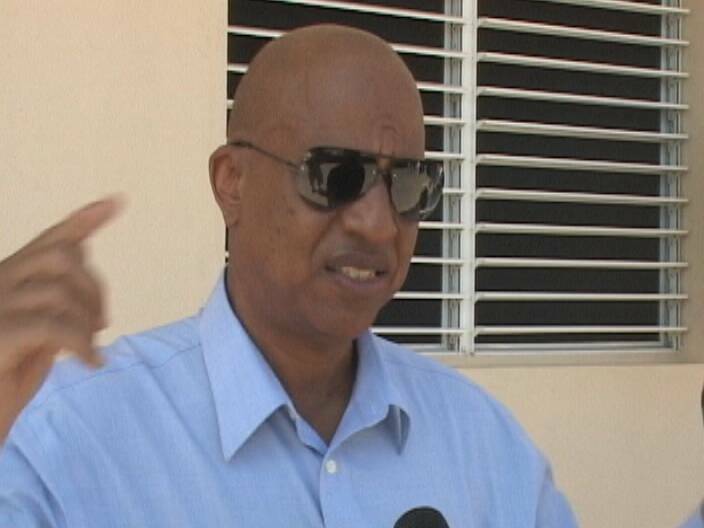 It's a quantum leap for justice in this country; it's a quantum leap for Belize on a whole. I hope that we can move towards the kind of reconciliation that the Chief Justice spoke about, we want to develop, we want to contribute and I believe the Government wants to ensure that every Belizean have the opportunity to contribute to their own development." But while an appeal appears inevitable, Moore says the immediate impact will be respect, the first step of reconciliation. "The owners of the surface have something to say with respect to the exploration of resources underneath their land. Up to this point the Government was conducting itself as if that land was crown land, national land and so the Maya people were essentially blocked out from any consideration with respect to what is beneath their land. They are not claiming that they have a right and a say with respect to what happens." 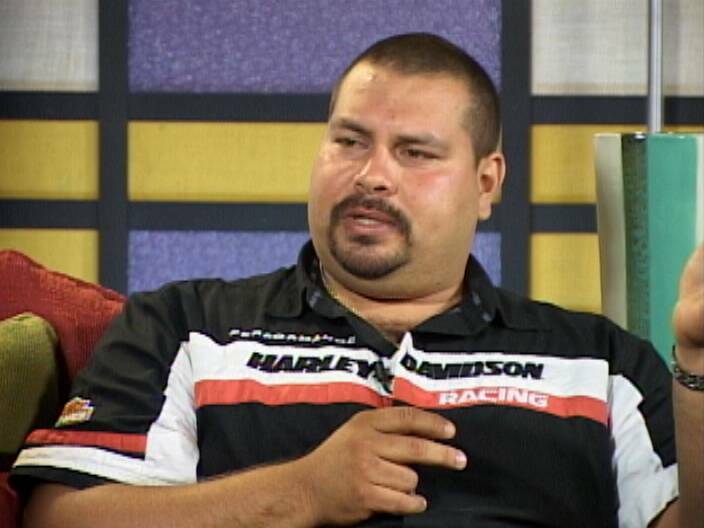 "They have sat at the table with each Government, they've talked to everyone and anyone who listened, they've attempted to negotiate a resolution without coming to court and in fact one of the results of those discussions was the ten points of agreement so the Mayan people are clearly desirous of cooperating with, acting as a partner to the Government of Belize. The Maya people are Belizean, not withstanding what the Government of Belize argued in this last case, the Mayan people are proud to Belizean and proud to be indigenous peoples."